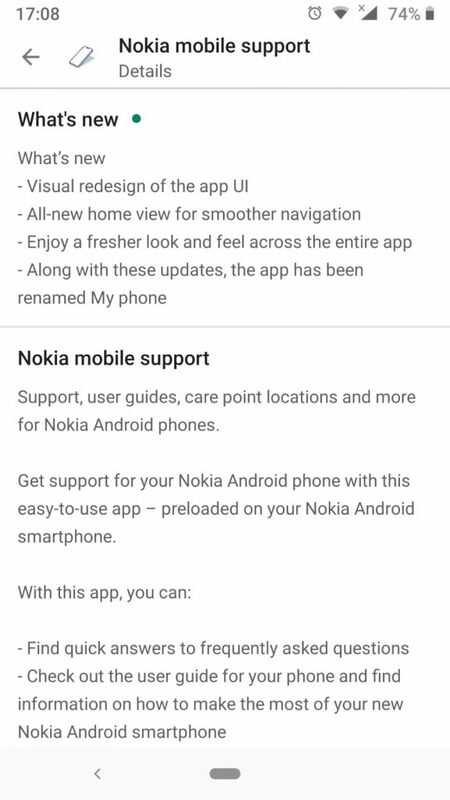 HMD Global released a new update for their customer support application that comes preloaded on Nokia phones. The app was until today called “Nokia Support”, while with the new update the app changes its name to “My Phone”. Apart from a new name, the latest update brings new UI changes that make the app easier to use. The crowded side menu is gone and we now have three views representing “Support”, “Home” and “Community”. The app’s version is 2.2.3 and can be downloaded via the Play Store here. The support app made a long way from the initial release, offering customers just a guide, warranty check and support chat, to having more features and a good looking design. There is still place for improvement, as is with all software. 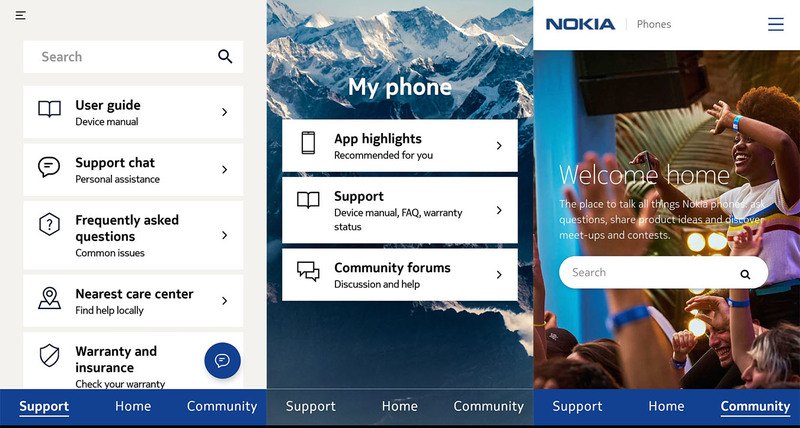 The new name makes sense, because with a heavier focus on the Community forum, the app becomes more of a hub for Nokia content rather than pure troubleshooting utility.